The 2015 International Paralympic Committee (IPC) Athletics Trainer and Educator programme has taken place in Dubai ahead of the first Grand Prix of the season. The week-long event is the first in a series of programmes developed to increase the number of volunteers involved in growing and developing Para-athletics. Organised in conjunction with the IPC Academy, the organisation's education division, it provided seven days of training for trainers and educators from as far afield as the United States, Australia, New Zealand and Greece. At least 18 education programmes are planned for 2015 in order to improve the standards of classifiers, coaches and officials. The aim is to enable each individual to lead further education programmes around the world, and ultimately increase the worldwide pool of officials involved in classifying and technical officiating. "This week's programme has been essential, as we believe that better trainers mean better educators and they, in turn, guarantee better classifiers and coaches throughout Para-athletics," said IPC Academy trainer Simon Jones. "The classifiers and coaches who will be involved with athletes in the future will be better trained to answer their needs and will continue to set high standards in both coaching and classifying." The schedule in Dubai was made up of a trainer programme for current educators, who will then be able to teach the next wave of educators for IPC Athletics and other Paralympic sports, and an educator programme for four classifiers, to enable them to become "classifier educators" who can teach athletics classification programmes. Thanks to funding from the Agitos Foundation, the leading global organisation in developing sport activities for people with an impairment, and support from the Dubai Sports Club for the Disabled, IPC Athletics can offer even more programmes to developing countries, ensuring that classification is understood on a worldwide level, it is claimed. "Ideally in the future, each country will have their own trainers and educators so that they can develop their own education programme," said Jones. "So, setting up a series of training courses around the world sets this process up for the future." Another initiative aimed at supporting athletics' development of volunteers and officials, both nationally and internationally, is IPC Athletics' online learning programmes, which are now available in French, Spanish and Arabic. Also on the agenda in Dubai is an International Classifier and National Classifier programme, taking place at the same time as the IPC Athletics Grand Prix which is scheduled to start on Sunday (February 22) and end on February 25. Following the conclusion of the 7th Fazaa International Athletics Competition, as the Dubai Grand Prix is also known, a National Classifier programme will take place in Tunis, Tunisia, in the run up to the third IPC Athletics Grand Prix of 2015 from June 16 to 18. 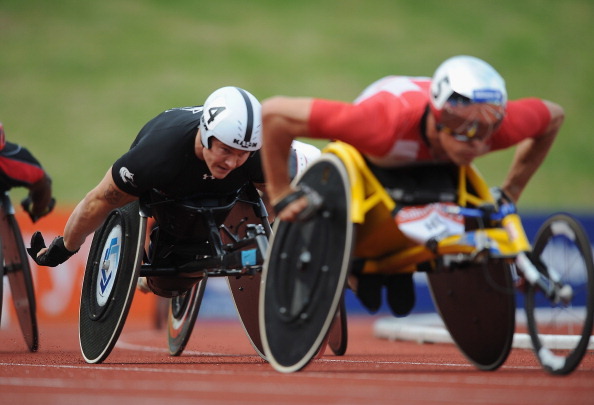 The 2015 IPC Athletics Grand Prix series will feature 10 different events, including a first ever in Oceania, ensuring that major meetings will be held in all five continents for the first time.